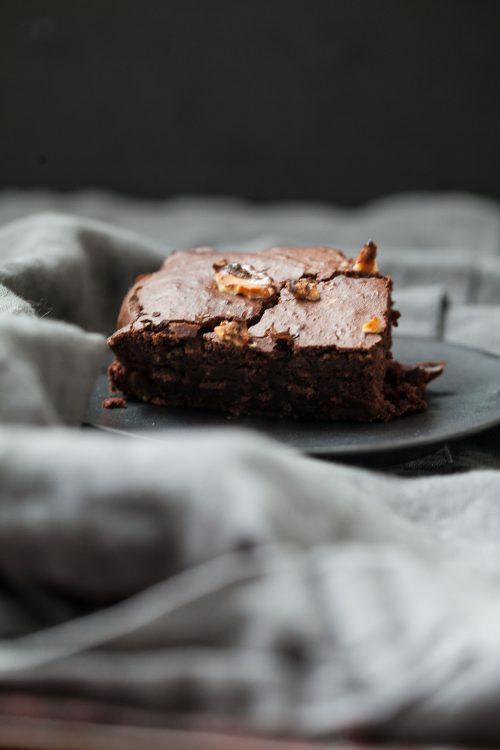 Would you like to know how these brownies got their "wild" adjective? I had a friend taste them and guess the ingredients. He had no idea but when I told him that there were white beans in them, he said "ah, a wild brownie". Pretty wild, these brownies, I have to agree! 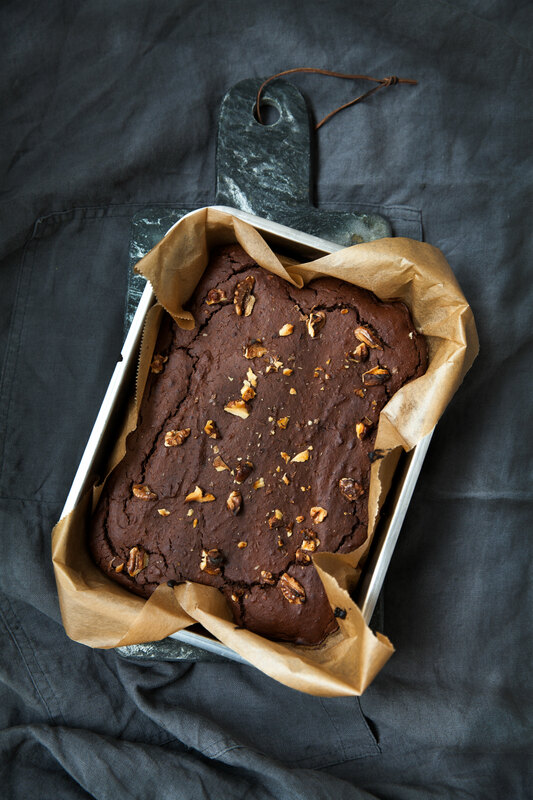 Yes, you read that right - these brownies contain beans, but they taste delicious all the same. The beans are there to substitute the wheat flour, so they are entirely gluten-free and really quite healthy. Well, compared to regular brownies at least. Those who have met me know that I love experimenting in the kitchen. Some of you will have tried my flourless chocolate cake with kidney beans. This was my inspiration to try some other legumes and see if they work. 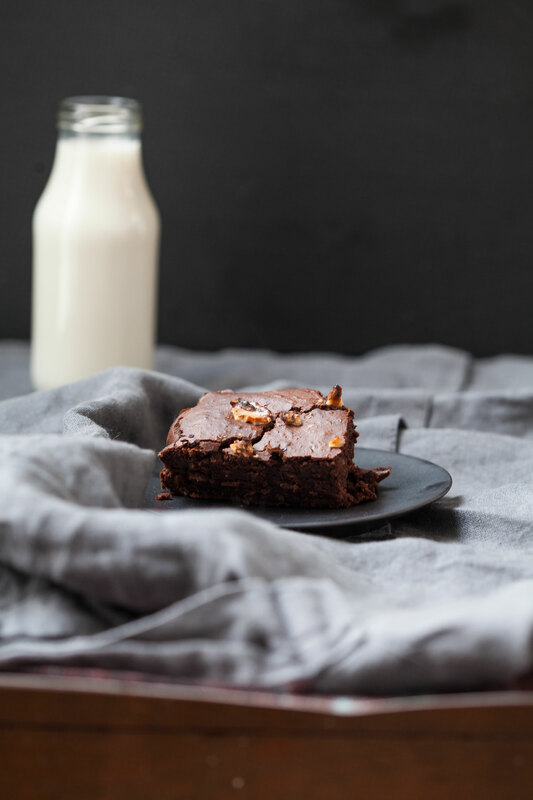 I tried these brownies with chickpeas and white beans and both variations were delicious. I'm sure kidney beans would work just as well. Take a medium-sized baking sheet and line with parchment. Finely chop the chocolate. Blitz the beans or chickpeas with a blender or in a food processor and add the rest of the ingredients (except the walnuts). Mix well. Carefully fold in the walnuts. Spoon the batter into the baking sheet and bake for 25 minutes. 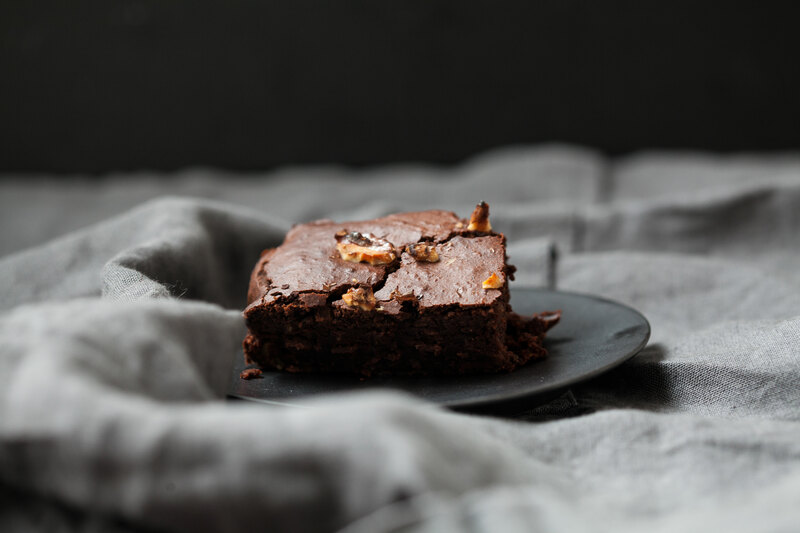 Remove from the oven, let the brownies cool for 10-15 minutes, then cut them into squares and serve.